NEW YORK J.C. Penney (JCP) confirmed Friday it's eliminating an additional 2,200 jobs as the struggling department store chain slashes costs after a year of plunging sales and mounting losses. According to Joey Thomas, a company spokesman, those being axed work in back-office administration in stores and district offices. He noted that the cuts translate to an average elimination of two positions per store. The cuts come as Penney lost $4.3 billion in revenue for the year as a strategy launched in early 2012 by CEO Ron Johnson to scale back most sales in favor of everyday prices has failed to resonate with shoppers. The pricing strategy is a key element of Johnson's bigger plan to reinvent Penney's business that also includes installing shops filled with hip new brands to replace racks of clothing. Penney reported last month its quarterly loss widened to $552 million, or $2.51 per share. Revenue slid by a quarter to $12.98 billion. Results for the full year were even more staggering. Penney lost $985 million, or $4.49 per share, for the fiscal year, compared with a loss of $152 million, or 70 cents per share, a year earlier. Revenue dropped 25 percent to $12.98 billion from $17.26 billion. 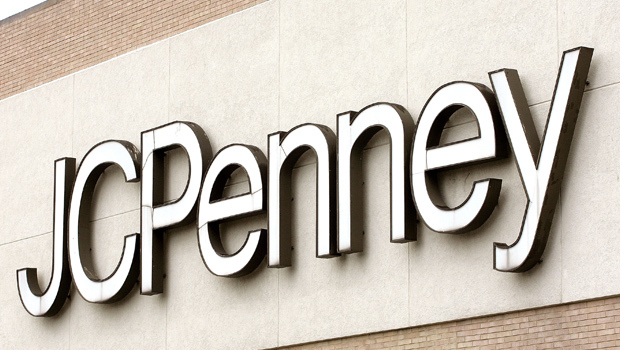 The latest blow to struggling Penney: One of its biggest shareholders confirmed Wednesday in a regulatory filing that it's sold more than 40 percent of its stake. The move by Vornado Realty Trust, whose Chairman and CEO Steve Roth sits on Penney's board, is perhaps the biggest indicator yet that investors are losing patience with the turnaround strategy. Johnson said in New York State Supreme Court last week that the Plano, Texas-based company had eliminated 19,000 jobs since he came on board. That figure came up while he was testifying in a trial that pits Penney against rival Macy's (M) over a partnership over the Martha Stewart brand. When Johnson joined the retailer, Penney employed 134,000 people. That means the company has cut about 16 percent of its workforce since then. The company operates 1,100 stores. "As with any reduction in force, we do our best to absorb those impacted into other positions if they choose to do so," said Thomas in an email to The Associated Press. He noted that affected workers were given 30 days notice, so their last day would not be effective until April 6. Those who are eligible for benefits will receive a severance package and outplacement assistance. Penney's shares closed Friday up 29 cents, or nearly 2 percent, to $15.11. In the days after Johnson announced his vision for a new Penney in late January 2012, investors drove shares up 24 percent to $43, but shares have lost 65 percent of their value since then.